I took this photo of my LV while enjoying a walk through Stockholm. I just couldn't resist admiring its greenness!! 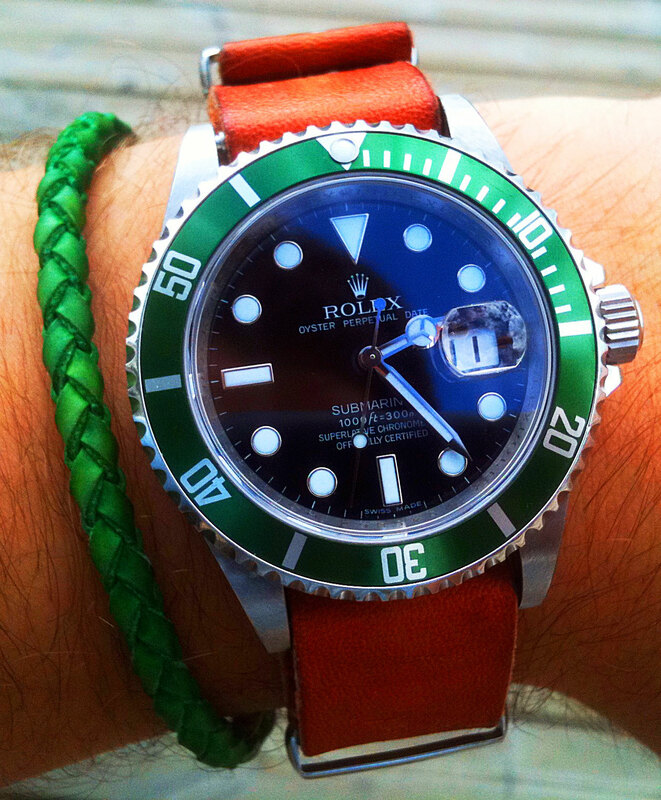 It sitting on a kangaroo nato with lovely patina. Thanks for a great blog, read it every day!